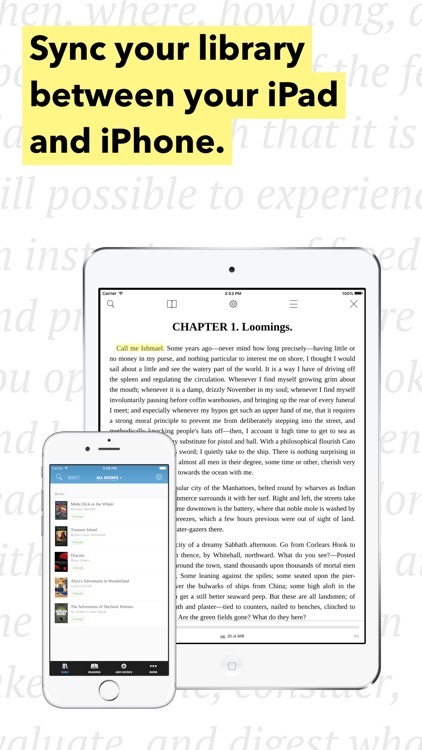 Hyphen is a powerful, easy-to-use ePub reader designed from the ground up with you in mind, with cross-device syncing, super-fast rendering, effortless customization, and intuitive annotation features. Start on one device, finish on another. 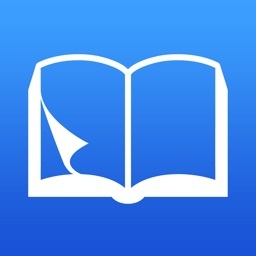 Your entire library - books, annotations, bookmarks, and all - is synced between devices via iCloud. Hyphen comes packed with a ton of options for custom colors, fonts, font sizes, line heights, paragraph indentations, margins - ...well, you get the idea. You can even use styling on a per-book basis. And if that’s not enough, you can also add your own CSS. Cool, right? Tap-and-drag or use the selection handles to highlight in any one of several available colors. Write notes for a highlight and refer to them any time you need to. You can also share highlights as images and post them to Twitter or Facebook, or export all your highlights for use elsewhere. Use Goodreads? 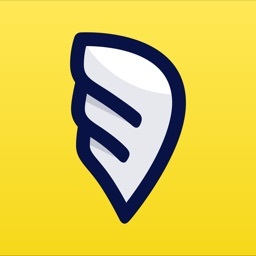 We've got you covered - shelve books, make status updates and post quotes, all right from the app. 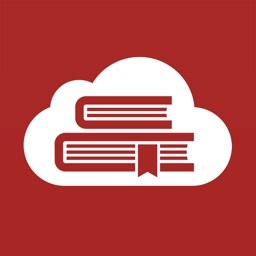 Add ePubs using your favorite cloud services - Dropbox, Google Drive, OPDS servers, and more. 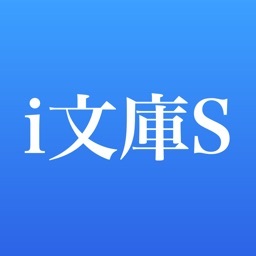 You can also use the in-app web browser to download ePubs, or add them using iTunes. Transition Hyphen's reading interface to soothing, darker colors at night. Edit the title, author, subjects, covers and more of your books. 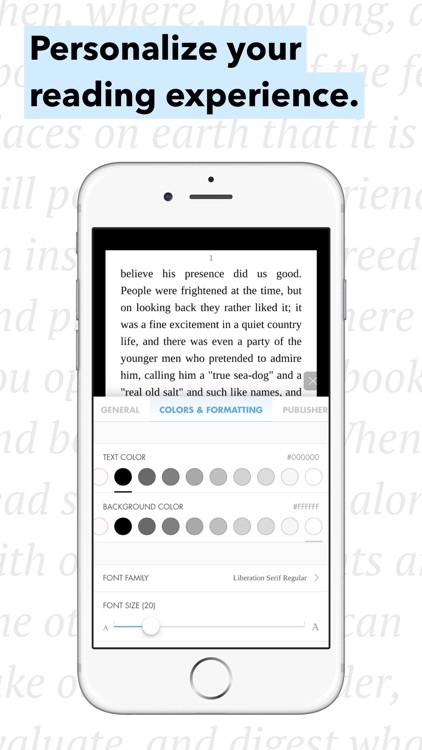 Hyphen can even lookup book covers and metadata for you. 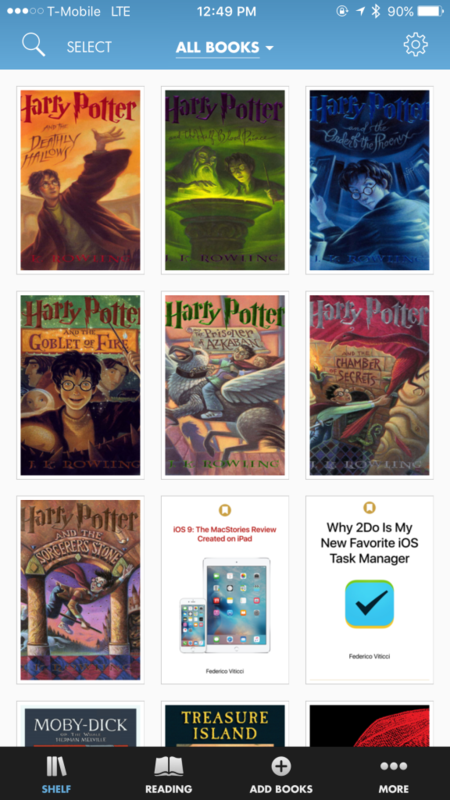 Add books to custom shelves, and sort by author, title, last read, or date added. 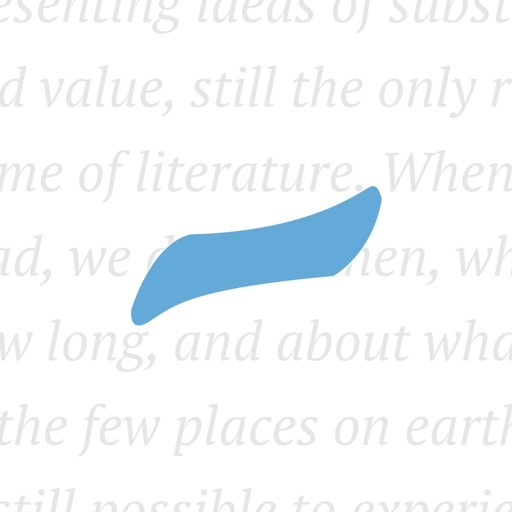 Hyphen lets you import both your favorite fonts for use while reading, as well as CSS. 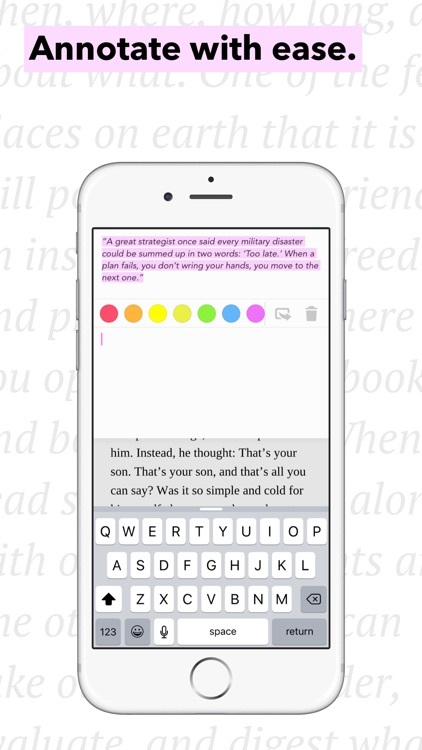 Translations of the text you're reading are only a tap away. Lookup words and terms in Wikipedia, Dictionary.com or Google. Got one of those large, spacious, king-sized, oh-my-lord-this-screen-is-so-big-I-should've-gotten-an-ipad-mini-instead,-its-so-big, why-is-it-so-big-sized screens? Use this setting to make reading more comfortable. You can also optionally only use two columns when your device is in landscape orientation. Add words to a vocabulary list and export them easily. Tap and hold a link to open it in the in-app browser, or Safari. Images zoom in, letting you see every detail. Swipe through and jump between images throughout the text with the Image Viewer. Hyphen utilizes ADE pages, so you’ll always have a cross-reader compatible way of finding and noting where you are in a book. 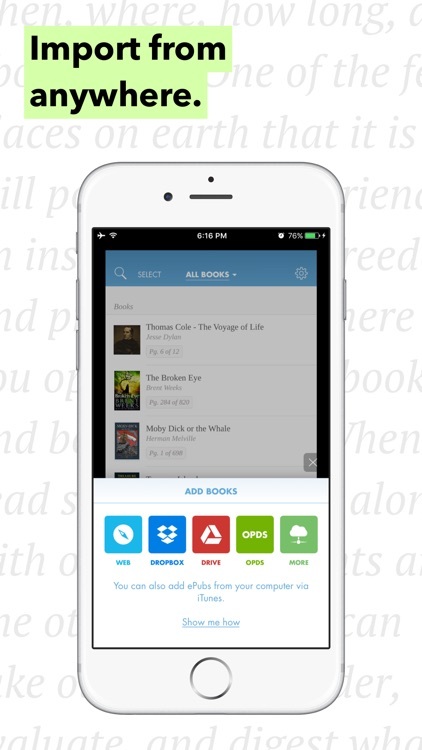 Download and import books in the blink of an eye. 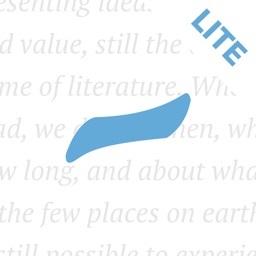 Hyphen’s ePub Rendering System is optimized so that there’s the least delay between you and the text. 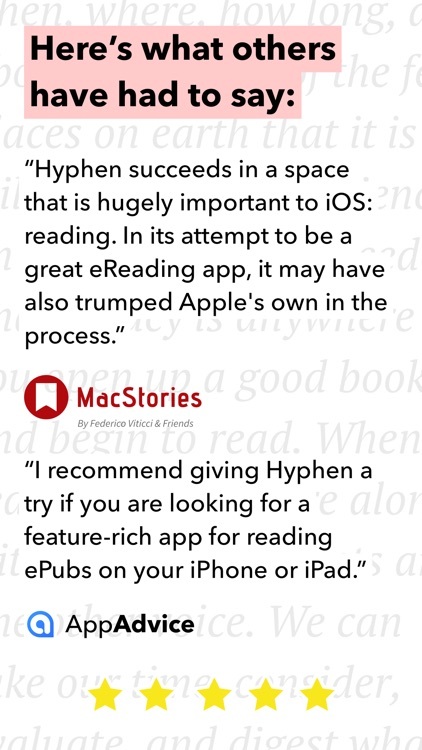 Hyphen is a slick little app for accessing your library on-the-go.